All of the Florida artists, galleries, businesses, and jewelers in our searchable,worldwide sea glass directory are listed below in alphabetical order by city. Clicking on any of the Sea Glass Business listings will take you to a page where you'll find more information about that studio. If you know of a sea glass artist, shop, or business that should be listed here, just send them to our directory submission page to get a free listing! 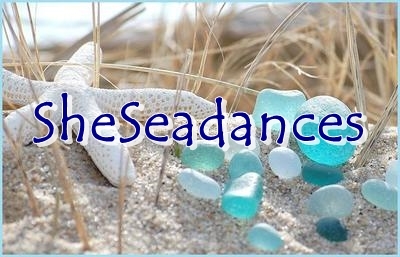 Get your free sea glass directory listing here. If there are no businesses listed in your area, you can use the search feature below to look beyond our directory. This will return results from all over the internet that match your search query. Please help - if you find incorrect or out-of-date information in the listings, please let us know using our Contact Form. Include the city and state or country and the listing name. Florida is a beautiful state, especially in the cooler parts of the year. Its beaches are famous for being long and sandy and just great for folks of any age. Unfortunately, long sandy beaches are just not the best places to find Florida sea glass. What is there gets buried under tons of sand. That makes it hard to find. It also protects it from the sun and waves, so it doesn't get much tumbling or frosted surface to it. If a shard of glass does become uncovered, chances are that it is not very worn down, ie, tumbled and rounded. In spite of there being plenty of constant wave action the glass just isn't exposed for long periods of time to those actions. Reports from our viewers who live or visit Florida just reinforce the above facts. Talking about Florida sea glass, one report said in part, "St Pete Beach Florida...they were not high quality..," and "One was thick, clear and had lettering. The edges were smooth, but it was not well frosted nor round. A week later, I found a brown piece with ridges -it was much thinner than the white piece, so probably a newer beer bottle. The edges were smooth, but it was also not frosted nor round." So, they were few and far between and not very tumbled. 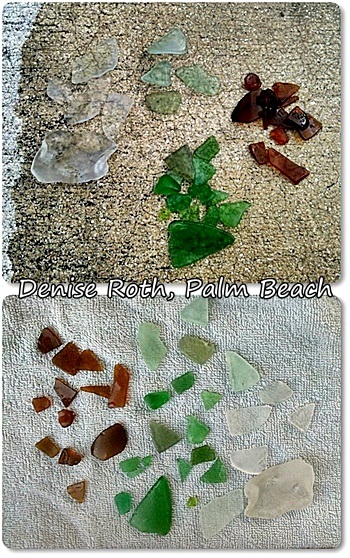 Another beach fan said of the Palm Coast/Cinnamon Beach area that they had found 50 pieces. However, there were no photos and the condition (whether frosted and rounded or not) of the glass was not described. Comments followed that report, one saying that they found not even a chip and another stating of a nearby beach that she had only found 2 pieces in six months. Reports from Satellite Beach were varied. One viewer stated there was a lot if you looked for it but did not say what condition. Others stated a few pieces were found, some thrown back, and none of the reports included photos or descriptions of the state of the glass. "I grew up combing the beaches of Nova Scotia and sea glass was very common. I've lived in South Florida for the last 18 years and finding sea glass has taken on a whole new meaning. "I've read on some blogs that sea glass in Florida is considered uncommon. However, just today I had one of my biggest hauls on Palm Beach, 36 pieces. Just wanted to share this information with you. I can provide pictures if you like. "Enjoy your site, keep up the great work!" More to the point, do you think its worth it going to Florida even if you don't find a lot of great sea glass? 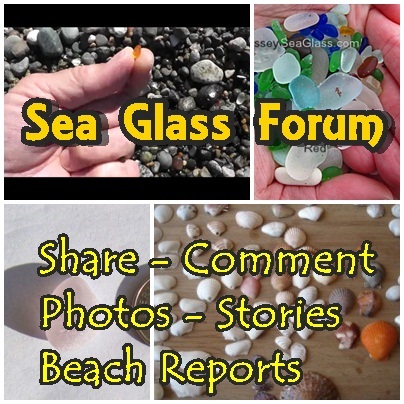 Write about your Florida sea glass or beach glass and what we can expect when we visit! Or enter your comments on the facebook comments below.